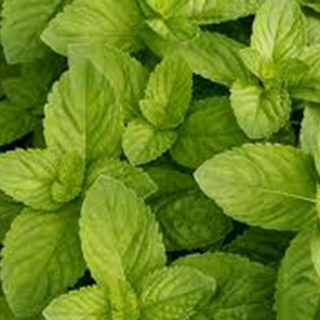 Mentha spicata (Spearmint or Spear Mint) is a species of mint native to much of Europe and southwest Asia, though its exact natural range is uncertain due to extensive early cultivation. Make the infusion by pouring a pint of boiling water on an ounce of the dried herb; the strained-off liquid is taken in doses of a wineglassful or less. It is considered a specific in allaying nausea and vomiting and will relieve the pain of colic. Cuttings may be taken at almost any time during the summer, always choosing the young shoots, these being struck on a shady border of light soil and kept moist, or a better plan, if possible, is to insert them in a frame, keeping them close and moist till rooted. Cuttings or young shoots will also strike freely in good-sized boxes in a heated greenhouse, in the early spring, and after the tops have been taken off two or three times for use, the plants may be hardened off and planted outside. When the plants are breaking into bloom, the stalks should be cut a few inches above the root, on a dry day, after the dew has disappeared, and before the hot sun has taken any oil from the leaves, and dried for culinary use for the winter. All discoloured and insect-eaten leaves should be removed and the stems tied loosely into bunches and hung to dry on strings in the usual manner directed for 'bunched' herbs.